Pingbacks are a WordPress feature that only operate with the WordPress environment. Some may therefore not have heard of them or consider them of relevance to their own online presence. However, as WordPress now powers twenty-nine percent (29%) of the worlds websites and blogs (hosted, self-hosted and managed), it is a feature worth highlighting. For those who may not know, WordPress, is an effective, fully functional, website/blog host service. If anyone is considering the establishment of a website and/or blog, many recommend WordPress. Note: Besides pingbacks there is another feature called ‘Trackback’. These will be considered toward the end of this discussion. ‘Z’ publishes their own post but with a link to ‘Y’s post. A pingback is automatically sent to ‘Y’s post notifying them of the Link. Example: See comments section of Suzy Stewart Dubot – Interview. Note 1: Pingbacks only work if the blog has the pingback option enabled. More about that in a moment. Note 2: As mentioned, there is a function called ‘Trackback’. These enables users to create a link to a non-WordPress blog post. More about those later. Increases connection between blogs and bloggers. Enhances Search Engine Optimisation (SEO) (because the pingback is added as a comment). Boosts traffic (visitors and readers) to both blogs. Have been vulnerable to attack. WordPress have enhanced the systems but, apparently, there have still been some attacks. May be faked (e.g. disreputable people do this to gain a higher page rating for a site they intend to sell: as a consequence, they may be able to demand a higher price). Have the potential to fill a post’s comments section with unwanted, irrelevant, material. May (more than likely will) require constant monitoring. See below. Many, due to concerns regarding the potential for faking/spam etc., do not enable the facility. Along with any comment received, blog holders are advised to also monitor pingbacks. In both instances, they should be checking whether a response is required; whether the comment or link comprises spam; whether it is relevant. (Regrettably, there are those around who will try and abuse any facility to gain unwarranted and unjustified attention.) In addition, Pingbacks also need monitoring to ensure they are from a genuine source; are not fake; do not link to anything inappropriate and, again, do not comprise spam. As with any comment left, the blog holder will be notified of a pingback. Also, along with inappropriate/irrelevant comments, pingbacks may be ‘trashed’ (deleted) from within the administration section of the blog site. It may be a time occupying irritation but it is wise to keep a steady eye upon pingbacks. The last thing anyone wants is to have their carefully constructed blog, rubbished and possibly disabled by spam, hackers, or other inappropriate actions. Anyone who finds they are constantly subjected to troublesome pingbacks should seriously consider disabling the facility. The pingback facility may be enabled or disabled for the site as a whole or for individual posts. Site as a whole: My Sites > WP Admin > Settings > Discussion Settings. Individual Posts: On post editing/creation page: Post Settings > More Options > Discussion (near bottom of panel). These are pingbacks that occur when there is a link from within a blog post to another post within the same blog. Can be annoying. A notification is sent which the user needs to monitor and action, usually by ‘trashing’ (deleting) the comment. Note: Trashing these does not remove the link from the post but does prevent it being inappropriately noted within the post comments. Self-pings occur where the full URL (http:// etc.) is entered. These irritating self-ping notifications may be avoided by only using the second portion of the URL e.g. 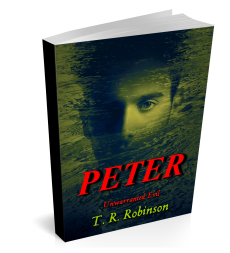 in the URL https: //trrobinsonpublications.com/2017/05/02/url-uniform-resource-locator/ it is only necessary to enter: /2017/05/02/url-uniform-resource-locator/. The entry will still link to the correct post. Many bloggers use the ‘Visual Editor’ when creating a post however, when entering a shortened URL as shown above, the system may re-enter all the information. To try and ensure this has not happened the link may be viewed in the ‘HTML Editor’. This has to be done prior to publishing the post. After utilising a few of these shortened url’s and finding they work, the user may become confident enough no to have to constantly check in the HTML Editor though it would be sensible to test them from the post preview prior to publishing. Note: The shortened link only works within the blog itself. When the link is required elsewhere, e.g. e-mail, social media, etc. the complete URL will have to be utilised. Trackbacks operate in the same way as Pingbacks but are not automated and are only appropriate for when linking to a non-WordPress blog post. They have to be manually constructed by utilising a Trackback URL from the non-WordPress blog post, if that site/post has the facility enabled. A fuller explanation together with instructions may be found in WordPress Support/Comments>Trackbacks. As with pingbacks these can prove useful but, naturally, also come with all the potential drawbacks and dangers. Pingbacks can prove useful for the purposes of creating additional contacts and for gaining further traffic. There are dangers that need to be constantly born in mind. Users should continually monitor pingbacks, as, presumably, they do comments. The pingback facility may be enabled/disabled at any time. If there is constant abuse of the facility, blog owners may need to consider permanently disabling the facility. Glad I could help Lynne.